Animal advocates denounced the passage of the Dominican Republic Central America Free Trade Agreement, which passed the House of Representatives last night by a vote of 217-215 as �a deadly disaster� for farmed animals and wildlife. Prior to the vote, a .letter signed by over 100 animal organizations, including PETA, In Defense of Animals, Friends of Animals, and Farm Sanctuary, was sent every member of the House condemning the Dominican Republic-Central America Free Trade Agreement,. 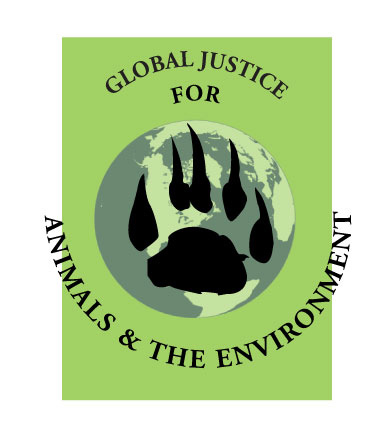 Activists charge that that passage of the agreement will lead to massive expansion of cruel and unsanitary �factory farm� agriculture, an intensive confinement industrial production system responsible for the vast majority of pig, chicken, turkey, and egg products produced in the United States, but still uncommon in Central America. DR-CAFTA will force CAFTA countries to eliminate tariffs and sanitary barriers on US agricultural imports, allowing US agribusiness to flood these countries with cheap pork, beef, chicken, eggs, turkey, and dairy products. Latin American producers will be driven out of business or forced to adopt factory farm methods to remain competitive. Loss of habitat for terrestrial wildlife and marine life is also a concern for activists. The region provides critical habitat to over 1000 bird species, over 600 species of reptiles, several hundred types of mammal, and countless species of insects. Marine life at risk includes sea turtles, manatees, fish, crabs, shrimp, and mollusks. Even pro-CAFTA US trade negotiators admit the �loss of migratory bird habitat� as a side effect of the treaty. DR-CAFTA offers strong protections to corporate investors, including investors in natural resource projects, including offshore oil drilling projects, but mandates no balancing increase in environmental protections. If DR-CAFTA passes, private corporations will be able to sue nations in international tribunals for tens of billions of dollars for refusing to allow ecologically destructive natural resource extraction projects that endanger wildlife. Under DR-CAFTA�s predecessor, NAFTA, deforestation rates in Mexico nearly doubled, and DR-CAFTA is expected to have a similar impact in Central America. Only one animal advocacy organization, The Humane Society of the United States, supported the passage of DR-CAFTA. On July 1st, the Senate voted in favor of DR-CAFTA by a vote of 54-45. The bill will now be sent to President Bush to be signed into law.